If you're an intermediate to advanced trader who'd like to stretch beyond basic trading strategies, options are a natural choice. Options are a popular and powerful tool that offer an added layer of flexibility and control to your portfolio. By carefully reviewing our curated archive of options content, you'll have the necessary background to make informed trades. Futures and Options: How Do They Differ? If you’re a new commodities trader, deciding whether to trade futures or options (or both) is of the most important early decisions to make. While both strategies can generate exciting trading opportunities, futures and options also differ in some fundamental ways. Watch this RJOF Quick Tips: Introduction to Options video presented by our Senior Market Strategist, Mike Sabo to learn what options on futures are, options trading and how to implement it in your futures trading plan. 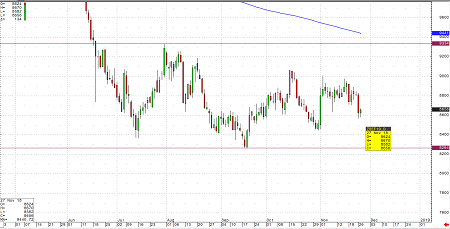 Why Options Trading on Futures? An informed and skilled trader, however, can generate returns in any market -- bull, bear or sideways. In fact, if you’re armed with the right information and strategies, a sideways market can offer plenty of trading opportunity. To help you better understand what’s involved, let’s take a closer look at the basics of sideways markets. 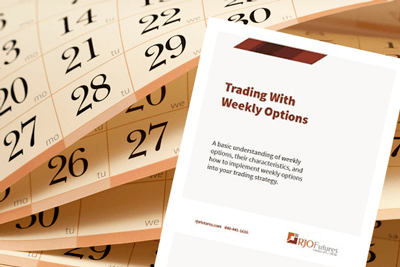 Weekly Options are essentially the same as standard options in every respect but duration. They have the same strike prices and ranges, the same underlying contracts, and the same settlements. They have many benefits, two of the most important being affordability and flexibility. Hedging futures is a way to possibly reduce your risk while trading. This video focuses on hedging equity futures--specifically the S&P. Senior Market Strategist Bob Haberkorn discusses the basics of hedging along with some examples of how hedging equity futures works. What is Hedging? The word hedge means protection.